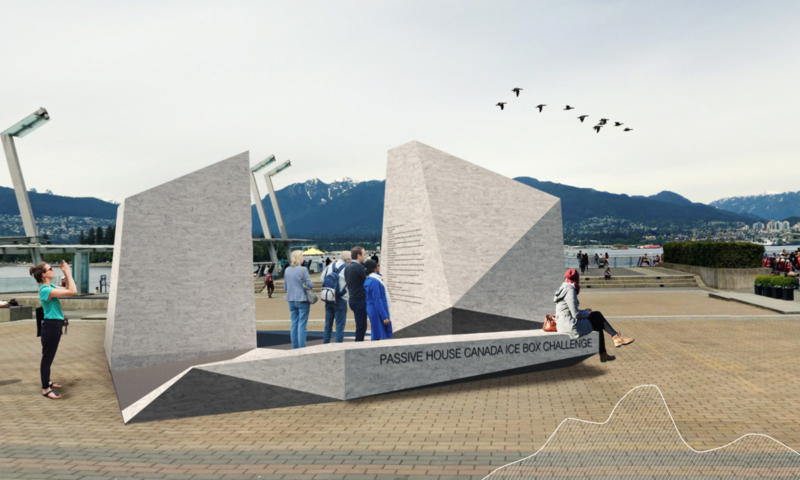 VICTORIA – Join Passive House Canada at 11:30 A.M. to 1:00 P.M. on July 27, in Vancouver’s Olympic Village Square, located at Manitoba Street and Athlete’s Way, to kick off Canada’s first-ever Ice Box Challenge. 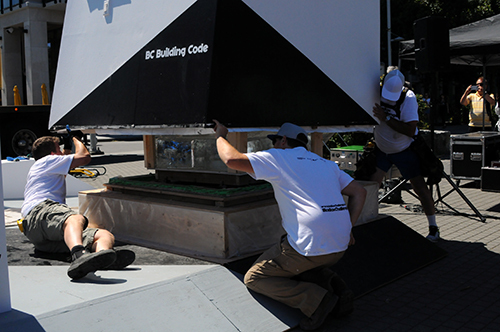 Ice Box Challenge shows how effective, high-performance design and construction can turn the heat down in Vancouver, save residents money, keep them comfortable, and lower their carbon footprint. It pits the BC Building Code against a super-insulated international high-performance building standard under the hot, summer sun. 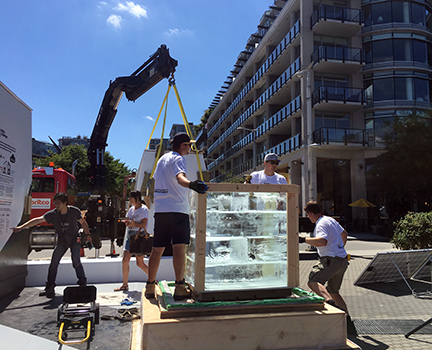 On July 27, Passive House Canada will fill two small structures with ice, then leave them outdoors. One structure is built to code, the other to the high-performance Passive House Standard. How much ice will remain in each after 18 days? Vancouver-area residents can enter their estimates online at for a chance to win the Ice Box Challenge contest. On August 14, the Ice Boxes be opened and the ice measured. The winning estimate will also be announced. High-performance buildings are comfortable, affordable, and healthy buildings and, because they use up to 90% less energy and require little maintenance, they cost less to run than other buildings. 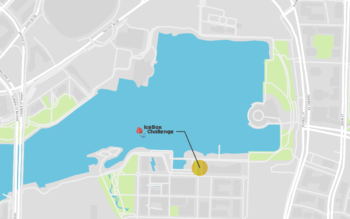 Dozens of new high-performance buildings are currently in design or under construction in Vancouver. They include family homes, apartment and condo buildings, and commercial, community, institutional and mixed-use buildings. 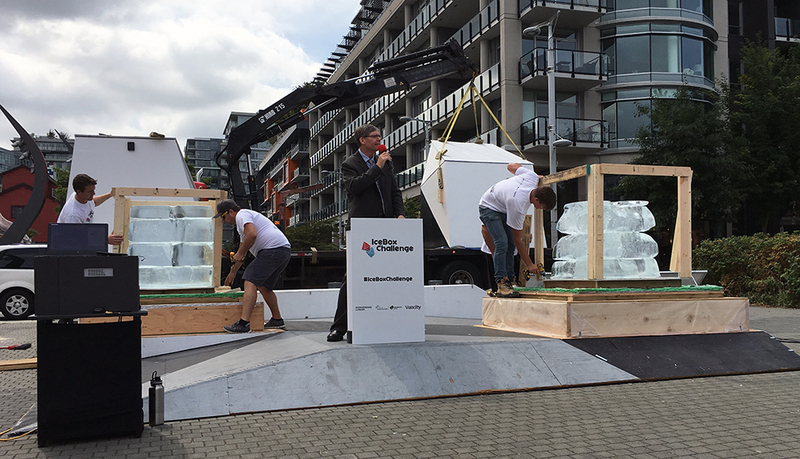 Modeled on similar events held recently in Europe, Ice Box Challenge is run by Passive House Canada, with support from the City of Vancouver, Vancity, and members of the local construction industry. 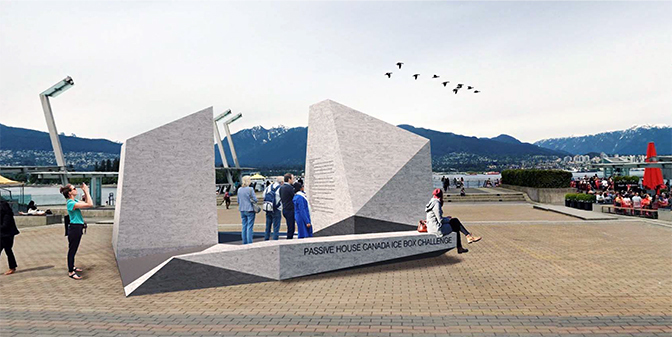 Passive House Canada is a national non-profit professional association advocating for the Passive House high-performance building standard and working to educate and train professionals in the building industry. The Passive House Standard is recognized internationally as the proven best way to build for comfort, affordability and energy efficiency of residential, institutional and commercial buildings, through all stages of design, construction and liveability. Stark Architecture and E3 Eco Group provided the design for the Ice Box Challenge Ice Boxes. 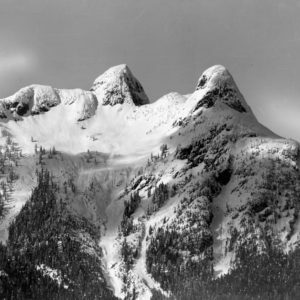 Their winning design is informed by The Lions, or Ch’ich’iyúy Elxwíkn (Twin Sisters), unique North Shore mountain peaks that are covered by snow for much of the year and can be seen from many parts of the region. Stark Architecture’s Ice Boxes abstractly capture the landmark with faceted forms and white walls that deflect and reflect light. In May, Passive House Canada issued a call for design submissions for structures that could be built both to code and to the super-insulated Passive House building standard. 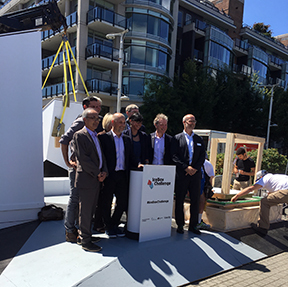 Five entries were submitted and assessed by City of Vancouver engineers and Passive House Canada-certified architects and trainers. 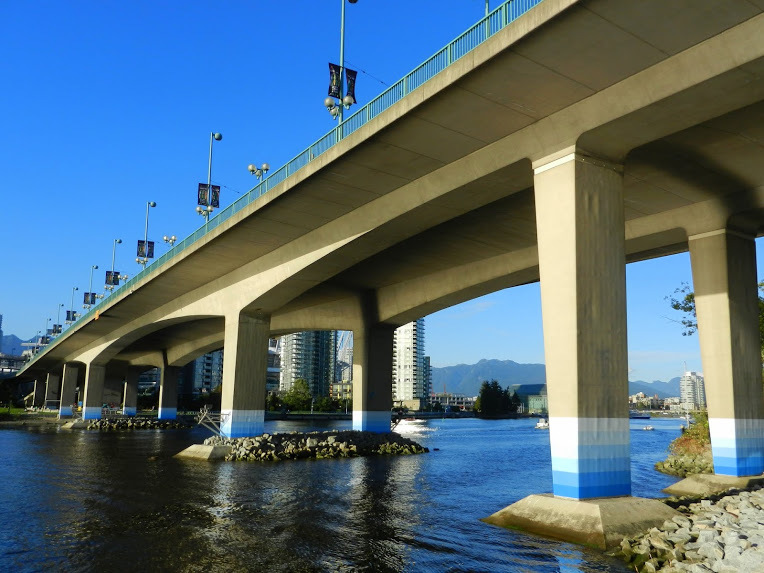 With buildings contributing as much as 56 per cent of the City of Vancouver’s greenhouse gas emissions, the city’s Renewable City Strategy and Zero Emissions Building Plan focus on high-performance buildings becoming more widespread throughout the municipality in coming years.